Flat 3d isometric massive lure mass insanity herd instinct social engineering business concept web infographics vector illustration. 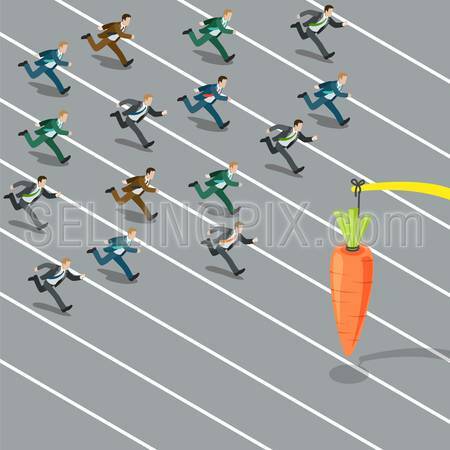 Businessmen crowd running catch carrot. Creative people collection.